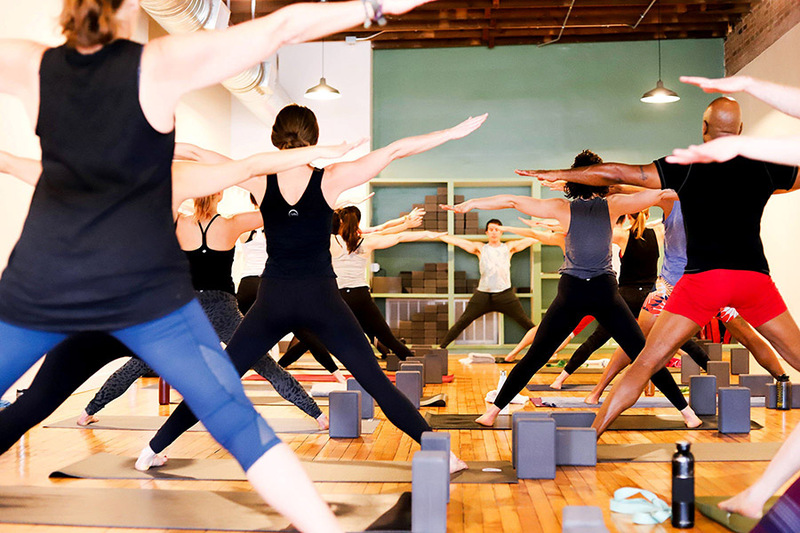 Sprouting up in the skeleton of what was once Back Bay Yoga, Boston Yoga Union is bringing a breath of fresh air into the yoga community in Boston. The space, co-founded by long-time friends, students, and teachers Emily Tevald and Tim Kelleher, will open at the beginning of February in Fenway. Housing three gorgeous multi-purpose studio spaces, two bathrooms, and a lobby as comfortable as your living room, the space is feels modern while staying true to the lineage and tradition of a hundred-year-old practice. 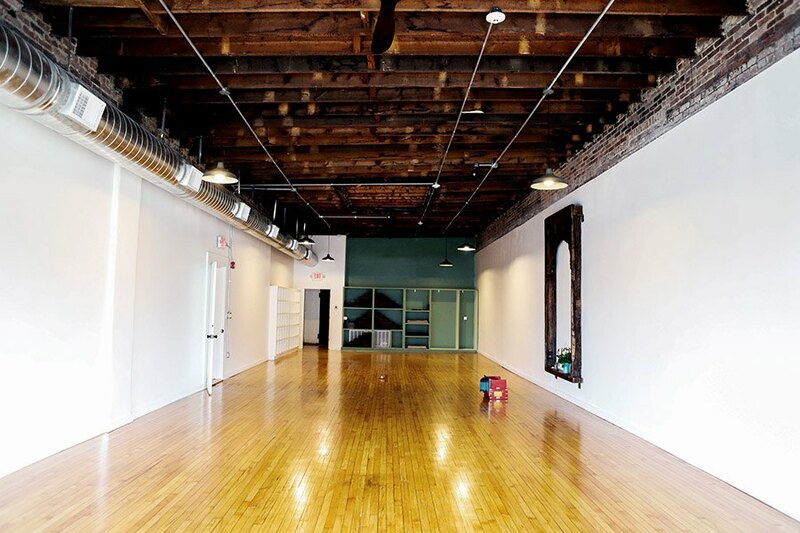 The biggest of the studio spaces may actually blow your mind. 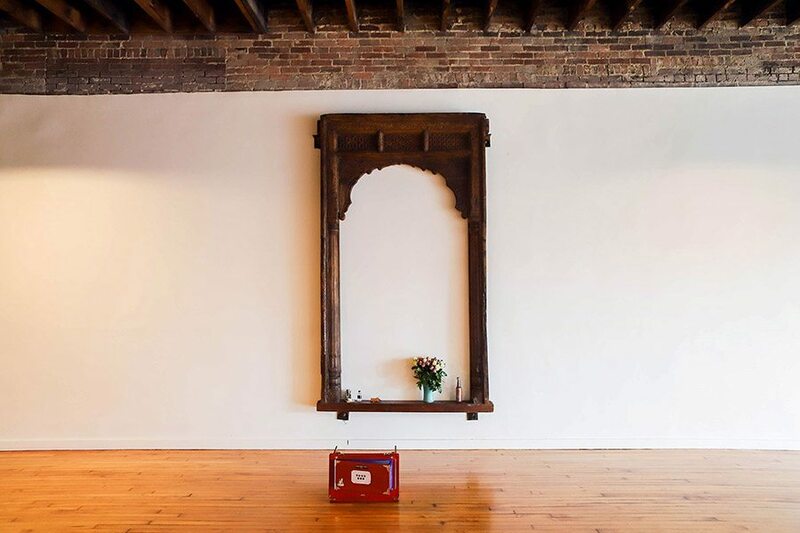 It spans 2,000 square feet and features a beautiful 300-year-old carved archway imported from Rajasthan, India, large windows letting in beautiful natural light from Boylston Street, and vintage ash wood floors. The middle-sized studio is unique in that it has infrared radiant panels on the walls to emanate heat, and it won’t dry you out like traditional HVAC systems, Tevald explains. “It will warm your bones and just make you feel nice. Our bodies are mostly water and when water gets cold it freezes, so essentially that’s what’s happening in our bodies. They become brittle and stiff. The light will help to make you feel more warm and fluid.” The panels will be controlled by a thermostat, to either crank them super high for heated flow, or keep them at a comfortable temperature for regular classes. 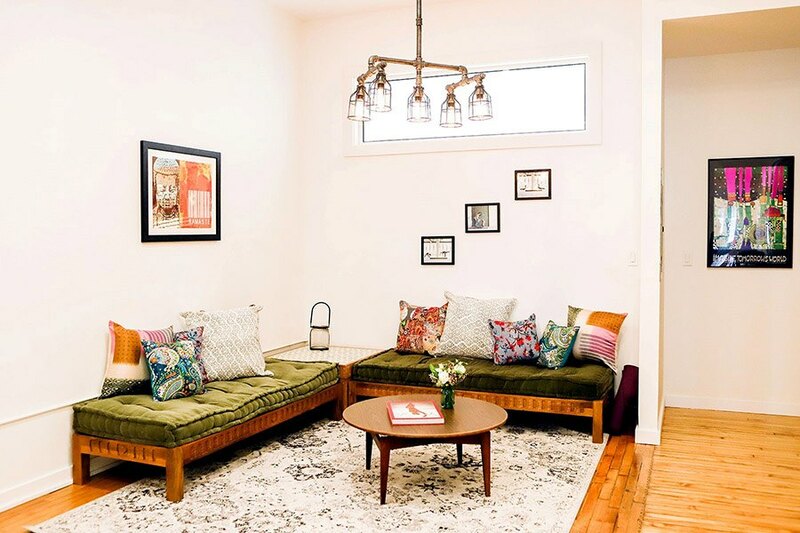 A lovely iron chandelier hangs from the ceiling, and when you walk into the reception area, two large couches welcome clients to sit and mingle for awhile, after class, as they sip provided tea and filtered water. 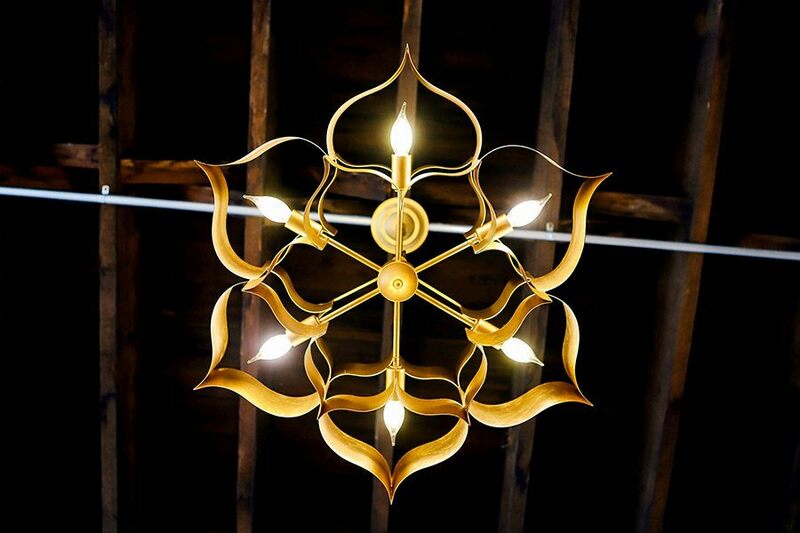 Tevald and Kelleher certainly didn’t miss a single detail while reimagining the space. They even gave thought to how the space would come across to anyone—including all shapes, sizes, genders, and races—making sure that their bathrooms are labeled as gender-neutral and their marketing language is geared to all humans. Teachers from all across the city will be picking up classes in the space, and Tevald and Kelleher are excited to bring in different experiences and ways of teaching under one roof. And at the end of the day, Kelleher says they’re really striving to keep yoga weird. And you get that vibe when you walk through the doors. Each studio room has its own personality and purpose and the environment feels like something that will ebb and flow with the people that come into the space. Even if you don’t think yoga is for you, Kelleher and Tevald will welcome you with open arms and reserve a mat for you—even if it is in the back right corner, just to start. Boston Yoga Union, 1112 Boylston St., Boston, bostonyogaunion.com.